John had the vision to begin his own agency over 30 years ago and enjoys seeing some of the same clients today that he met 30 years ago! John's passion for outstanding customer service has earned him life-long clients. Believe it or not, John has a life outside of the office. 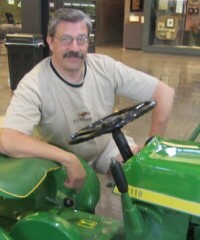 He enjoys the green and yellow of John Deere and has raised horses, cows and cats at his home near Marne. John enjoys dinners out with Jan and is learning to enjoy Michigan's Upper Peninsula since their oldest daughter has relocated there with her husband. John is also the father of 4 other young adults who keep his life full of activity and enjoyment.